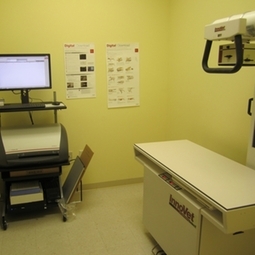 Our on-site X-ray equipment provides high quality radiographs within minutes to aid in the diagnosis of many disorders. The ability to capture digital x-rays allows us to quickly capture images and have a better idea of what may be ailing your pet. As part of our continued effort to provide our patients with the best care possible we have the ability to have our x-rays interpreted by a board certified radiologist. Having your pet's x-rays interpreted by the radiologist provides our experienced veterinary staff with a specialist's opinion to best diagnose your pet.